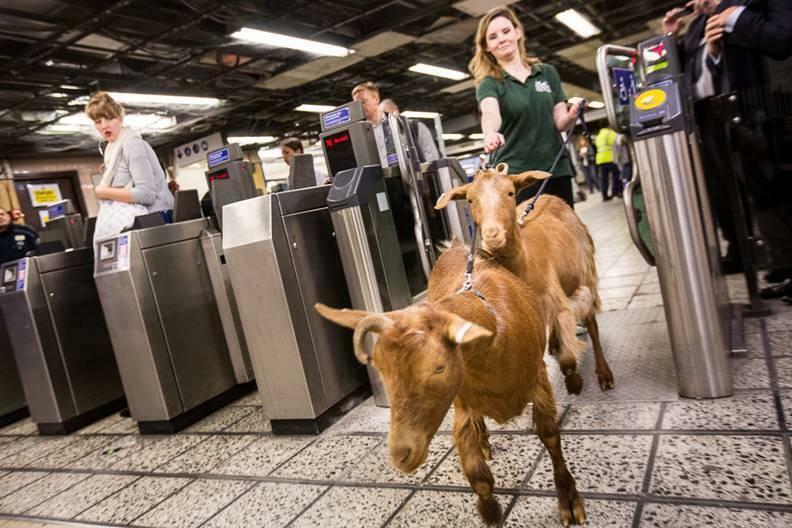 Kids' fare: A goat promotes London Underground's new above ground map of the Victoria line. A man has had his face and arm slashed in a Stanmore assault. Four-year jail term for a City worker who pilfered £2.9 million. An M16 assault rifle has been found in the London home of film director Sam Taylor-Johnson. Plans for the redevelopment of Stratford Centre have been released. Lewisham is changing pretty swiftly, too. Politicians think London should be allowed more self-governance. Yorkshire's been educated. So has Essex. Now it's the turn of the East End. A prominent Savile Row tailor is retiring after 50 years on the job. Bad personal hygiene, talking loudly on mobiles and other commuter pet hates. London Underground has launched an illustrated map of things to do above the Victoria line, with help from inhabitants of Vauxhall City Farm (pictured above).